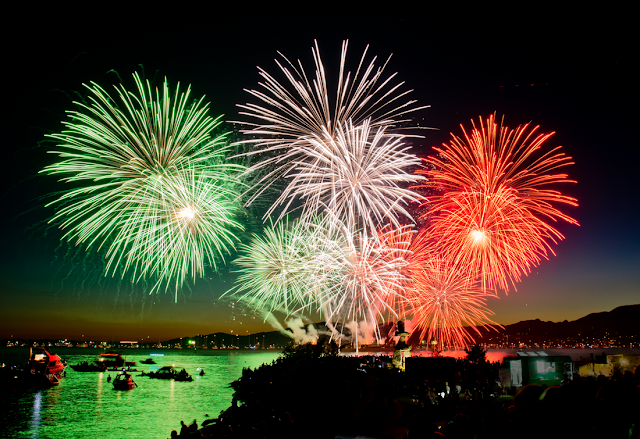 The original fireworks were just basic gunpowder, a mixture of saltpeter (potassium nitrate), sulphur, and charcoal. According to Chinese legend, a cook first put this explosive mixture together by accident, 2000 years ago. This makes sense because all of the ingredients were things that could be found in a kitchen back then.